Learning to drive is an exciting time, but you ant to be certain that you are taught buy patient, friendly and knowledgeable instructors in order to make sure you get the best out of the experience. When you come to us, you will have no worries. We offer comprehensive and professional driving lessons in Paisley and throughout the surrounding areas, and with more than three decades of experience in the business, you can be confident that you are in the very best hands. We pride ourselves on providing extensive lessons, excellent service and friendly tutelage for all prospective drivers who choose us as their driving school. Our driving instructors are highly experienced and able to teach students of all skill levels, helping them learn to drive or update and refresh their knowledge. We understand that many people have concerns about the price of driving lessons, which is why do all we can to ensure that we offer excellent value. We will offer you your first three lessons at just £14 each, helping you to get started on the road for an amazingly affordable price. 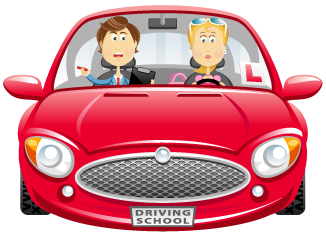 We offer a number of lessons and lesson types for our clients: there are beginner lessons for new drivers, Pass Plus courses for newly qualified drivers who want to gain more experience or lower their insurance premiums, and refresher courses for drivers who may have been off the road for a prolonged period and want to update their skills. Our driving instructors in Paisley are fully qualified, with many years of experience helping students to become safe and confident drivers. Our instructors are friendly and calm and will strike up a rapport with you while providing you with friendly, attentive and informative tuition, whether you are driving for the first time or honing your existing skills. Our instructors can also offer fleet driver training and can also train people who want to become qualified driving instructors. They can even provide driving lessons in French if so required. Flexibility is paramount, which is why we pick you up wherever you want at the time that you want. If you would like us to come to your college, workplace or home, it’s no problem. We take pride in offering high quality services for low prices, and you can depend on our driving instructors in Paisley to give you the skills and confidence necessary to pass your test. Contact our team today to find out how we can help you with your driving skills.